If you can't see the newsletter, please click here. Recurring revenue that you bill and own vs. just a cut of a service providers fee for the first cycle is truly THE way to giving your company long-term financial stability and raising the business value. In this edition, we will analyze managed services opportunities for the technology partner that focuses on phone solutions. As the VoIP phone market matures and hardware prices and margins decrease, your service revenue becomes critical. Our mission at ABP is to help our technology partners by putting together managed solutions we know can help you make extra money. Today's phone systems have more remote users than ever. Although there are still many appliance type PBXs where phones are detected and self-configure when connecting them locally, things are changing. Phone systems are shifting from being the typical PBX appliance, hanging on the wall in the utility room to being virtualized to software running in the company's server or are run as a cloud application managed by the Technology Partner. The good news is that you, the Technology Partner, can make money managing all three approaches and ABP can help you do so. 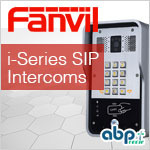 Use ABP's IPTechView™ QoS monitoring to ensure your phone solutions are working well. 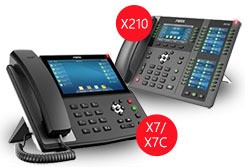 Use ABP's Safe&Easy ZTP™ to redirect all your phones sold to your PBXs. You can now use the system to manage phones and repoint them in case there are any future PBX changes. This puts you in control. ABP's platform even works if customers do a factory reset. Your dashboard is in the ABP Partner Portal. Read more about ABP Safe&Easy ZTP™. Your customers care about call quality and uptime of their phone system and overall IT networking. This means that you should get involved in the customers' router decision and ideally replace it or get a dedicated router for your voice service customers. 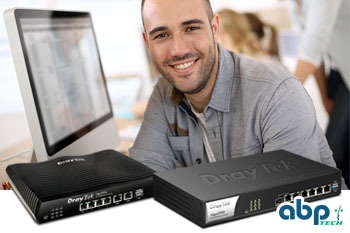 We chose DrayTek because this router offers multi-WAN aggregation, redundancy and the best Voice QoS we could find. It was the only router that actually got decent results for VoIP even on a cable network by throttling non-voice when needed to protect voice quality as much as possible. The silver lining of using DrayTek is that it makes it easy to add an additional Internet provider aggregating two services which also provides customer with redundancy guaranteed Internet access while keeping same internal network. The router simply "session load balances" calls between the two wired WANs or even a third wireless route via LTE for additional safety or in case a second wired service is not available. Read more on Managed Routers here. DrayTek's routers are built to be managed centrally by the reseller on the DrayTek ACS (Auto Configuration Server) on our North American ACS instance. 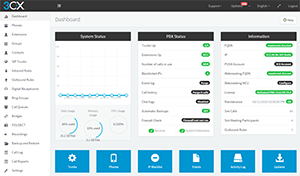 Even better, ABP added an easy-to-use Remote Monitoring and Management platform - IPTechview™ - to combine this with ACS and the ABP Partner Portal to give you an easy way to manage all your routers, configure them remotely and update firmware. 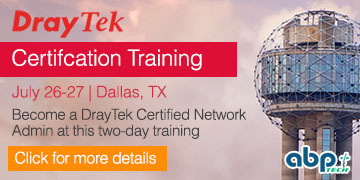 This service is available for a small yearly fee to all customers that received certification at our DrayTek training. Ask us for more details on getting trained and getting your ABP ACS and IPTechView™ account credentials. Don't just sell phones, but sell them with a small monthly service charge by securing both phone provisioning so the phones are protected in the event of a remote factory reset and by providing the customer call quality management. QoS or Quality of Service is the single strongest cause for companies to churn their phone service providers. At ABP, we create a comprehensive tool chest for you that covers all aspects of QoS, starting with the DrayTek router monitoring the overall QoS in and out of the company on a call-by-call basis and reporting bad calls. Next, we picked PBXs that are aware of QoS, too, and will provide you that information. Last but not least, at ABP we have tools to track the QoS in every single phone so you can be alerted if there are problems in the network and locate them. Our platform automatically notifies you as soon as any QoS problems are detected and will provide you with information so you can determine if the problem is at the local network level, PBX, router or ITSP/carrier level. 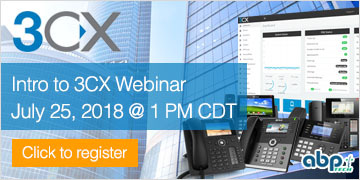 3CX is a stable and robust PBX that can be used locally on a customer's premises as well as from a remote location that you manage for your customer. 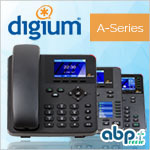 Don't just sell the PBX but sell your management service. You can remotely configure moves, adds, and changes. Customers are already used to paying for that. 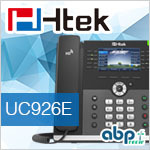 If you combine managed phones, router and PBX, you get a comprehensive service package for your customer. In the near future with ABP's soon-to-be released IPTechView™ Remote Monitoring and Management service, we will make it a breeze to monitor QoS for your remote 3CX systems. Get this DECT Wireless Headset $80 cheaper than before. Read more. 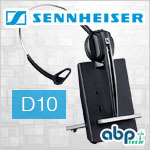 Contact ABP for more details. Contact your ABP Sales Rep for more details or how to take advantage of these promotions: 972-831-1600 x3 or sales@abptech.com.